This article is about the guest star. For the character, see Trevor Denman (character). 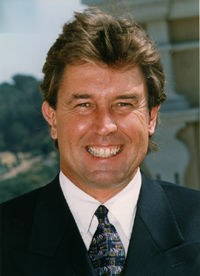 Trevor Denman (born September 24, 1952) is an American sportscaster. He voiced himself in the season 11 episode "Saddlesore Galactica".